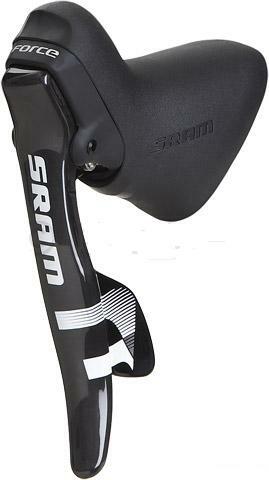 SRAM Force DoubleTap Shift-Levers fetaure ten speed shifting that is compatible with SRAM derailleurs only. Carbon and magnesium parts make this one of the lightest integrated shifters available. Approx 305 grams. Comes with cables and housing.